SMOKE and the smell of burning rubber from a purple utility driven by a P-plated hoon doing a burnout grabbed the attention of Gladstone police. Despite police car sirens and flashing lights, Ethan Egan, behind the wheel of his powerful V8 Ford ute, accelerated heavily and fled down Glenlyon Rd. Egan, 20, evaded police in an 80kmh zone. Officers then switched off sirens, followed and observed. Egan, of Glen Eden, was fined $7595 after details of his potentially lethal driving went before Gladstone Magistrates Court. He will now be riding a push bike. Police prosecutor Gavin Reece said the supercharged V8 ute went partially off the road and "undercut two vehicles" causing them to break heavily and move into the path of oncoming vehicles. Egan overtook another vehicle, crossing double white lines, police saying he was going at an "extremely excessive and dangerous speed" at this time. Raining and with the road slippery, Mr Reece said Egan entered the Phillip St roundabout and cut off another vehicle. At the time there were about eight vehicles travelling on the road. 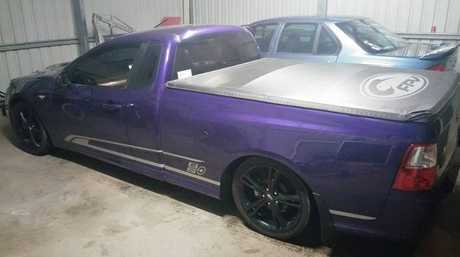 Other drivers told police they had seen the purple ute before and officers found it at Egan's home. A check of the ute found two bald rear tyres and wire beginning to protrude through the rubber. Egan told police he "panicked" and took off, saying he performed the burnout because his friends encouraged him. Egan, supported by his father in court, pleaded guilty to dangerous operation of vehicle at 9.20pm on June 16, failing to stop, being a provisional licence holder who drove a high-powered vehicle without an exemption certificate, driving a defective vehicle and wilfully making unnecessary noise/smoke. 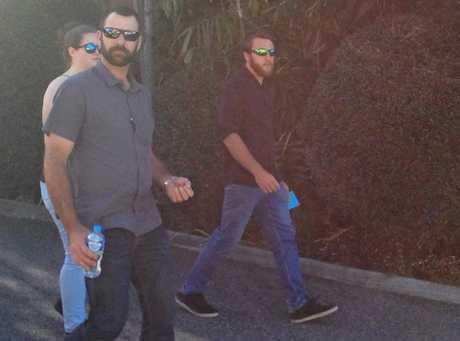 Mr Reece said police had not established what speed Egan was doing but the nature of his driving was aggravated because he could have potentially collided with other vehicles and he caused some motorists to take evasive action. Lawyer Jun Pepito said as a consequence Egan would surrender his ute "as he will be riding a push bike while disqualified". "He's 20. He panicked," Mr Pepito said. "He seeks a fine only rather than probation. It's been a wake-up call for him. "Significantly he will be losing his motor vehicle. "He will be on a push bike for two years. "Every time he gets on his push bike it will remind him." Magistrate Melanie Ho said the facts showed the public was endangered, the matter serious. Fining Egan $7595, Ms Ho disqualified him from driving for two years for failing to stop, and for seven months for dangerous operation. Ms Ho did not record a conviction because of his age and clean criminal history. An offence of failing to stop carries a minimum fine of $6095 or 50 days jail.